Epic Ales | Beer Blotter: Seattle based. World focused. 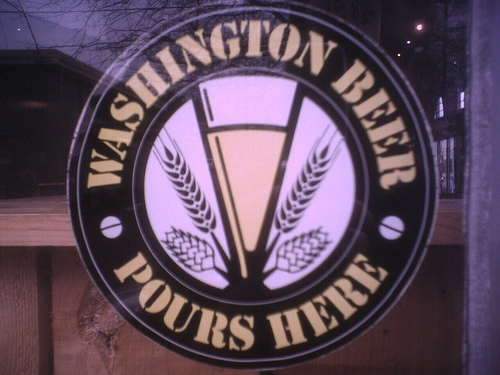 Epic Ales is located in the SoDo neighborhood of Seattle. A tiny space, Cody, owner and head brewer has released some amazingly interesting beers this past year. Cody uses a variety of unique ingredients such as green tea, mushrooms, orange peel and camomile. On an average day, stopping by the tasting room will guarantee some cheese pairings and a chat with Cody about his brews. Its such a personalized beer experience- the best kind! But tonight, Cody is celebrate a year of beer making, beer selling and just being “epic”. Starting at 5PM and going to 10PM, head to the upstairs of the brewery. There’ll be zero minute IPA (new release) on tap and various snacks. Head up to the second floor for a celebratory beer! Congrats Cody on all your success- bb.com wishes you all the best! 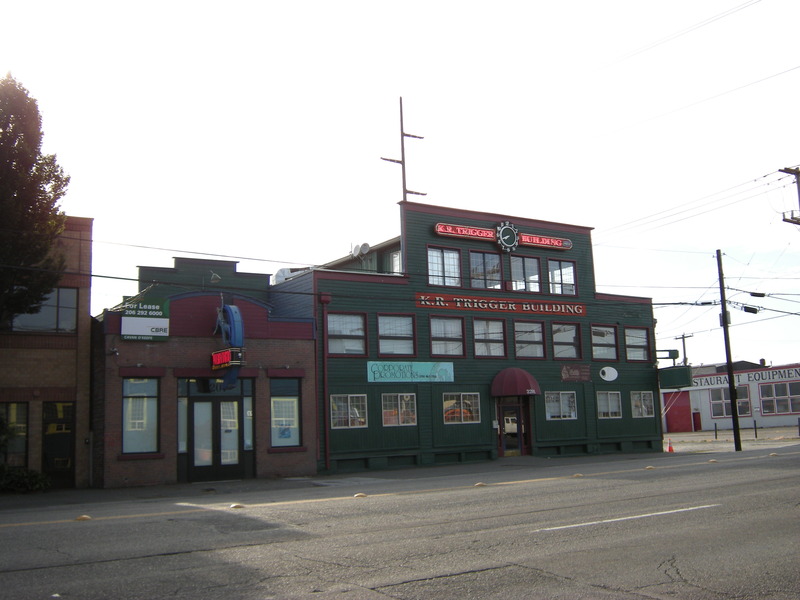 The KR Trigger building on 1st S & Hanford in Sodo - Home to Epic Ales. STAFF OPINION: The brewer, Cody Morris, was the only one there, serving beer and chatting with patrons. He was excited and passionate about brewing and was more than willing to explain the styles of beer and tell the “crowd” about his brewing tales. Located in the SoDo neighborhood of Seattle, Epic Ales has that industrial, grass roots “feel.” With several local breweries moving into this neighborhood, we think Epic Ales is on the right track. The tasting room officially opened its doors on January 22, 2010 and is open on Fridays from 3:30PM until 8PM and when we went, we could tell, word has gotten out about this brewery. There were two beers on tap, as the Solar Trans-Amplifier has just kicked. Described as a sour Belgium Witt, we were slightly saddened by our poor timing. OTTO- Optimizer, a Turkish Coffee Porter was on the sweet side with berry qualities mixed with the coffee flavors. The body was light compared to other Porters and the flavor was lingering. The other beer on tap, the Simple Ale, was anything but. It had a bit of aromatic funk but was bitter from the hop component and very malty. Delicious! The space consists of a small tasting room, with the taps, a bar top, some boxes of bottles and brewing accessories along with a separate room of approximate same size which is where the magic happens. This is a brewery with an ample amount of potential to be great. The brewer, Cody is innovative from the ingredients used to the labeling on the bottles (yet to be sold) and is generous. There will be six beers released during the summer and fall and each beer will be a flavored imperial kvass baring a child’s name. For every bottle sold a quarter goes to a saving bond for the college. He also will make a kvass for his “kid,” Fuji, a 9 month terrier mix. In honor of his pup, a portion of the earning will be donated to an animal advocate group. On March 5th the simple ale in 22’s will be available for you to take home and enjoy. When we asked Cody what breweries inspired him, he replied, “There are so many exciting beers being made. I think American craft brewers are really pushing the limits. It’s a great time for beer lovers.” We couldn’t agree more.